So what do you think?? I am obsessed with this glitter top coat! I am quickly creating different colors I can put underneath this beautiful neon glitter. I have also seen people add one coat of this glitter and then a black and white glitter as well. Now you know my obsession with black and white glitter right now. Oh my goodness! I plan to try that soon. 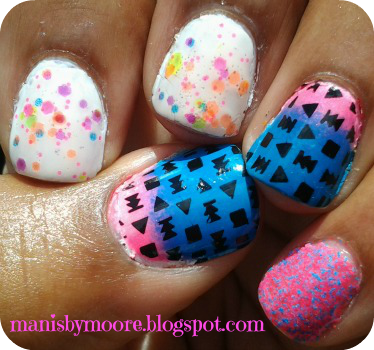 What do you think of the neon glitter?? Have you tried Clowning Around or something like it?? Thanks so much for stopping by!